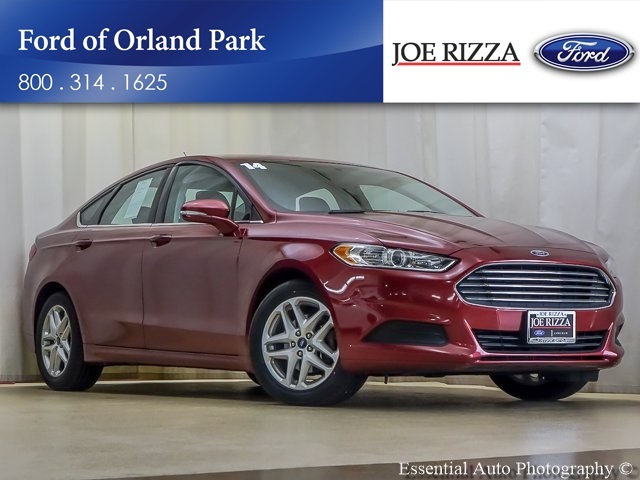 Red 2014 Ford Fusion SE FWD 6-Speed Automatic 2.5L iVCT 6-Speed Automatic.22/34 City/Highway MPGAwards:* 2014 IIHS Top Safety Pick+ * 2014 KBB.com 10 Best Hybrids Under $30,000 * 2014 KBB.com Brand Image AwardsReviews:* If you're looking for a sporty sedan, a luxurious touring car, a fuel-efficient family car or just something to impress the neighbors, you'll find it all in the 2014 Ford Fusion. Source: KBB.com* Fuel-efficient turbocharged engines; sharp handling; composed ride; quiet cabin; advanced technology and safety features; eye-catching style; available all-wheel drive. 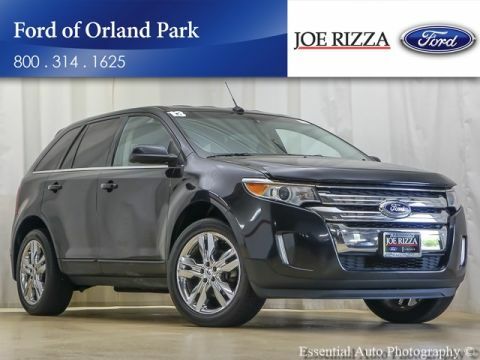 Source: Edmunds* The 2014 Ford Fusion has the upscale style and front grille that resemble higher-priced European vehicles, yet with a price tag families will appreciate. The interior has a sleek yet accessible modern look, complemented by shiny angled trim that adds to its edgy feel. Also, the Fusion has been given an assortment of interesting colors, boldly angled front headlights, and exciting new wheel designs. Plus, with engine choices that range from 175 to 240 Horsepower on various models, it has the power to add excitement back into your driving. The Fusion comes in 8 trims: the Base S, SE, S Hybrid, Hybrid SE, Titanium, Hybrid Titanium, Fusion Energi SE, and Fusion Energi Titanium. The Fusion has some notable innovations related to fuel, charging, and related capabilities. One is an Easy Fuel capless system when you fill up at the pump. The other is a lighted ring around the charge port on the Energi Plug-in model. It gets progressively brighter as the car charges until it is at full brightness when the Fusion is fully charged. The Energi can run exclusively on electric power up to 21 miles, and then the gasoline engine is engaged to keep it going. The Hybrid model can drive up to 62 mph on electric power alone, and it also switches between the gas and electric motors. The Base S Model includes Ford's SYNC wireless communication system with voice control, 16-inch wheels, an AM FM CD Radio with Auxiliary input and four speakers, tilt steering wheel, and manual climate control. It comes with a 2.5-Liter, 4-Cylinder, Duratec Engine, with 6-Speed Automatic Transmission that gets an EPA estimated 22 MPG City and 34 MPG Highway. 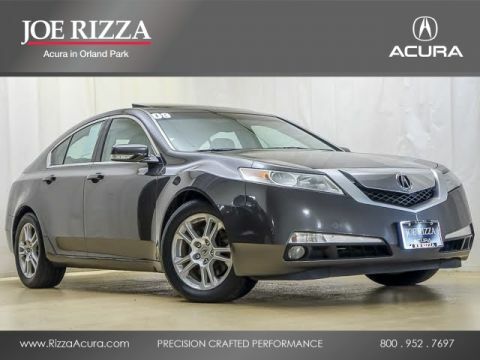 More expensive trims give you features like rear air vents, a rearview camera, Sony Premium Sound System with Satellite Radio, leather seats, and a 2.0-liter turbocharged engine. Plus, look for optional technology like Active Park Assist, Blind-Spot Monitoring, a Navigation System, and the amazing Lane Keeping System. Come drive the 2014 Ford Fusion Today! Source: The Manufacturer SummaryServing all of Chicago, Orland Park, Tinley Park, Frankfort, New Lenox, Mokena, Manhattan, Homer Glen, Lockport, Lemont Oak Lawn, Palos Heights, Palos Hills, Oak Brook, Naperville, Hinsdale, Lombard, Lisle, Bolingbrook, Joliet and Oak Park, Chicago land & Chesterton, Crown Point, DeMotte, Dyer, East Chicago, Griffith, Highland, Hammond, Hebron, Hobart, Kentland, Lake Station, La Porte, Merrillville, Michigan City, Munster, Portage, Rensselaer, Schererville, St. John, Cedar Lake, Valparaiso, and Winfield,Gary, Northwest Indiana.